It’s getting cold. It’s getting dark earlier. Everything is wet and miserable and grey and horrible. Your hands are going numb shortly after leaving the house, and tea consumption has doubled just so you can keep putting hot liquids inside yourself. What you don’t need right now is fancy recipes that take ages when you get home, shivering and sad, from your journey back from work. 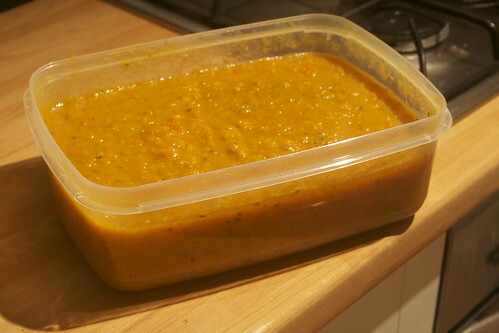 What you need is something you can make in a big batch and stick in the fridge so that when you get home you’ve got something to stick to your ribs and keep you warm within five minute. 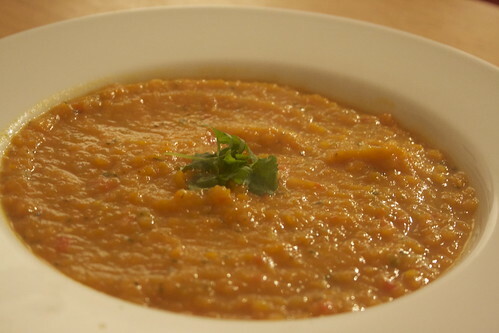 This soup is that recipe. Enjoy. When you eat it, imagine I’m reaching through your computer screen to give you a big hug and keep you warm. Unless you find that creepy, in which case don’t. 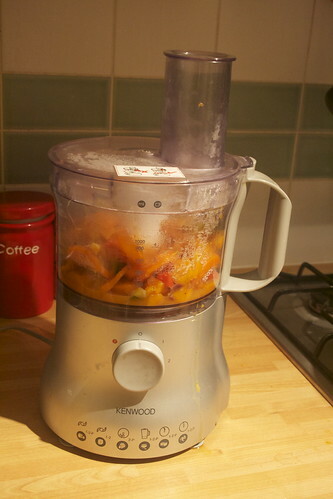 Peel and slice the squash, carrots and courgettes. Dice the onion, tomato and peppers. I also peeled stripes into the courgette to avoid that bitter taste, but you don’t have to. …so split it into two. 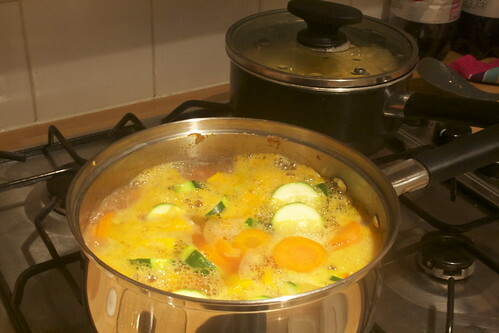 Cover the vegetables in each pan with water, crumble in the stock cube and add a good shake of Worcestershire sauce. 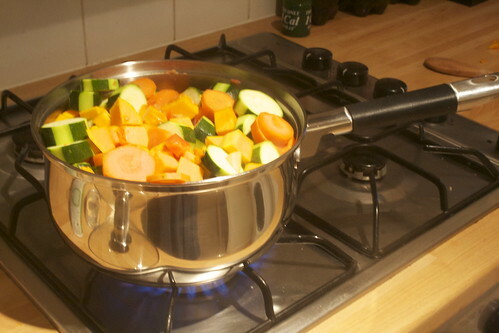 Cover, bring to the boil, then partially uncover and reduce the heat so the pan is gently simmering. Leave to cook for 30 minutes. 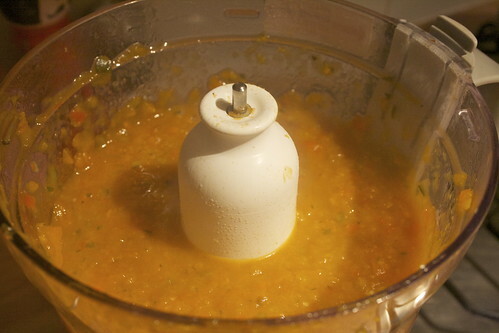 Use a handblender to blend the soup, or use a food processor and add the veggies in batches. Stir well so all the different flavours and textures of the batches are evenly mixed. 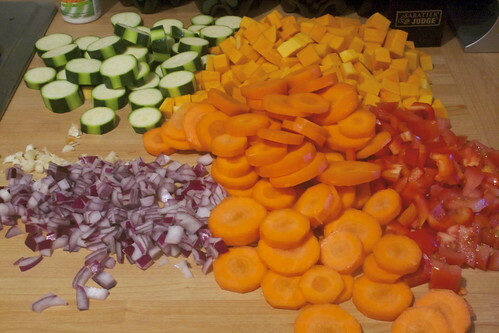 This makes a lot of soup — more than two people can eat in a week without actually turning into a bowl of soup. But it’s delicious, so who cares?